What Happens If No One Wins Powerball? What Is a Lottery Rollover? Everybody knows what happens if someone wins a lotto jackpot, but what happens if there are no winners? Do you know? Surprisingly, not many people do. Heck, not many people actually care! They simply move on and try their luck at another draw. But if you play the lottery frequently, it helps to know the ins and outs of the game. Does the next draw’s lottery jackpot increase or stay the same? Do your odds improve or not? Read on to find out all about how this works. What Happens If No One Wins the Powerball or Megamillions? When no one gets the top-tier prize in a lottery draw, funds from that jackpot are added to the jackpot of the next game. This is called a rollover. Now you may be thinking of US Powerball because from time to time you’ve seen in the news that no one’s won the jackpot. But this happens more often than you think! As of this writing, both US Powerball and Mega Millions lotteries are actually on the same boat. That is, both lottery games experienced a rollover. What does this mean? Why is this information important for Powerball and Mega Millions players? We’ll talk more about rollovers below, but simply put: With every rollover, the jackpot gets bigger, but the odds stay the same. 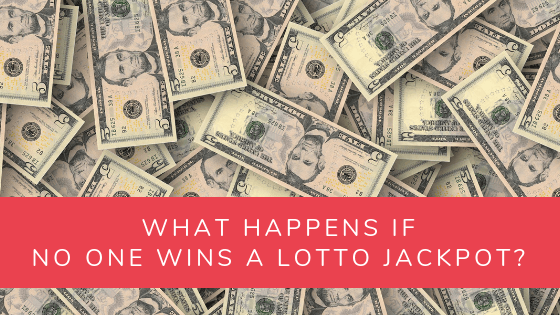 Let’s look at what happens to both the jackpot and the odds with each rollover. How Big Will the Next Jackpot Be If No One Wins the Powerball or Megamillions? The US Powerball jackpot amount will continue to grow with each draw without a winning ticket. Unlike other lotteries, the US Powerball does not have a rollover limit or a jackpot cap. (We discuss limits and caps in more detail below.) As long as no one wins the jackpot, the prize money will keep on getting bigger! This makes the US Powerball very attractive to both loyal players and to first-timers. The media hype surrounding rollovers gets to be so inescapable that people will stand in line for hours to just to buy tickets before the cutoff time. When No One Wins the Powerball or Megamillions, Do the Odds Really Stay the Same? The odds generally stay the same because the game doesn’t change when it experiences a rollover—only the prizes do. It’s all about mathematically calculated probabilities. According to the US Powerball website, the odds of winning any Powerball prize are about 1 in 25. The odds of hitting the jackpot, though, are significantly higher at about 1 in 292 million. So why is it a usually good idea to play the lottery and buy more tickets the bigger the jackpot gets? While the odds don’t change, the “expected return” does. You might be thinking: What does “expected return” even mean? Let’s set the scene here: Imagine you paid $2 for a US Powerball ticket and then became the sole winner of the minimum guaranteed jackpot of $40 million. This means that you spent $2 and got $40 million in return. Now, imagine you paid $2 for a US Powerball ticket and became the sole winner of a rollover jackpot much bigger than $40 million. Obviously this would mean that the money “returned” to you would be a larger amount. The scenario is ideal, of course. Not very realistic, though! The odds do stay the same, but what we’re leaving out here is the reality that lottery games generate a lot of publicity with each rollover. What does this extra attention mean for lottery players? If you’ve been wondering why we said that the odds “generally” stay the same, this is why! The bigger the jackpot gets, the more people want to win it. More first-timers and casual players will be attracted, and the player pool will become larger. This results in more lottery tickets sold, and an increasing chance that the jackpot will get split multiple ways. Worst case scenario: The jackpot gets split so many ways that each winner gets below the minimum guaranteed amount before rollover. Of course, the chances of this happening are probably infinitesimal. In plain English: It’s probably not going to happen! If you do win a rollover jackpot, you will likely get more than the minimum guaranteed amount—even if you split it a few ways. We’ll never know for sure, because while we know the odds of winning the US Powerball, we don’t know how many lottery tickets are sold for each draw. What Does Rollover Mean in Lottery? A lottery rollover is what happens when there is no jackpot winner for a draw. The top-tier prize amount is “rolled over” and included in the jackpot of the next lottery draw. How does this work? For example: If there are no winners for the $300 million Wednesday Powerball drawing, the money rolls over to the Saturday drawing—and a lottery ticket buying frenzy begins! Not all rollovers are the same, though. You can’t count on the same rollover rules to be followed by different lottery games. We’ll talk more about this below. Does “Rollover” Always Mean the Same Thing? If you’re talking about lottery rollovers, yes. If you’re just talking about the word “rollover”, no. Not familiar with the term? I wasn’t either, until I started playing the lottery. Now you know as much as I do! Before I started getting interested in lottery games, I thought of a rollover as a kind of vehicular accident—specifically, when a car is overturned. The meaning of the word “rollover” in lottery is closer to its meaning in finance, which is a transfer or extension of debt or some other arrangement involving money. What’s the Point of a Lottery Rollover? In theory, when no one wins and a rollover occurs, two things are bound to happen: more players enter the lottery, and players purchase more tickets. You may be wondering why lottery games even do rollovers, when they can just keep the jackpot amount the same. Why implement a way to increase the “expected return” of their players? Here’s the reason: Rollovers create mega interest in a lottery. As we’ve already talked about above, rollovers result in more ticket sales for the lottery operator. In addition, a huge influx of players or ticket purchases mean that the top prize fund gets even bigger. It’s a win-win for all! Do Rollovers Successfully Generate More Revenue for the Lottery Operator? History says: “Yes. Duh!” A good example of this is the January 9, 2016 draw of the UK National Lottery. The jackpot, which was a rollover from a previous drawing, was originally advertised as £57.8 million. However, because of the hype surrounding the immense jackpot, countless players purchased more and more tickets. The overall ticket sales from that drawing alone generated an estimated £95 million. The January 9, 2016 draw ended up with an added £11.8 million in the pot. The final prize was a whopping £66 million! The jackpot ended up being split between two winners. Is There a Lottery Rollover Limit? It depends on the lottery operator. Some lotteries—like US Powerball—don’t have rollover limits, but those that do have publicly stated jackpot caps and lottery roll-down rules. Many lottery games have rules that stipulate how many times a jackpot can be rolled over, and/or have a static number called a jackpot cap. For example: EuroMillions has a jackpot cap of €190 million, while UK Lotto has a jackpot cap of £22 million. What is a jackpot cap? It is simply the highest amount of money the jackpot prize can be before it stops getting bigger through rollovers. Not every lottery with rollover limits has a jackpot cap. Some simply have a maximum number of allowed rollovers. EuroMillions has both, in a sense. Its jackpot cap can keep the top prize at €190 million for four successive draws without a winner, but at the fifth draw the jackpot must be paid out. So what happens when the jackpot cap and/or the maximum rollover draws is reached? Again, this depends on the lottery operator, but typically what happens is a lottery roll-down. What is a lottery roll-down? A roll-down happens when lottery rules stipulate that the entire amount of money that has been rolled over must be paid out—even if there are no jackpot winners. How is this accomplished? With no top-tier winners, the rollover jackpot prize “rolled down” and split by the winners of the next tier. Not a bad deal at all! Lottery roll-downs can mean multiple winners can be made millionaires—and they don’t even need to hit the jackpot to get that lucky. There are some wild anecdotes out there about huge lottery winnings due to massively bloated jackpot amounts. Unlimited rollovers make for some really crazy, out of this world but true to life stories of lottery players becoming multimillionaires literally overnight! So the next time you see “lottery rollover” in the news, pay attention! Who knows? You might play the lottery and end up being one of the crazy examples we’re talking about. Not really a lotto player? You say that now, but how big would the US Powerball jackpot need to be for you to spend $2 on a ticket? One rollover may not do it for you—but how about two, or three, or four? What Do You Call Multiple Rollovers? A double rollover means that the jackpot has rolled over twice, a triple rollover means that it has rolled over thrice, and so on and so forth. You get the picture. The lotto industry has terms to describe how many rollovers have occurred in a given lottery draw. As you can see above, it’s pretty easy to grasp. The more a lottery jackpot rolls over, the crazier it gets! But the terms get less common as more rollovers occur. These terms are correct, if a little on the weird side. But because they’re so rare, you don’t really find anyone using these clinical-sounding words beyond five or six rollovers. What would be easier for you to understand as part of a headline: “Sextuple Rollover” or “6x Rollover”? Right. That’s why lotteries and news publications simply use the latter more often. You wanted some crazy examples, so here they are! Some of the biggest jackpots in lottery history have been the result of rollovers. In fact, don’t be surprised if future large jackpots follow the same trend. What’s the most unbelievable American lottery rollover jackpot prize? It has to be the 19x rollover US Powerball jackpot. This is historically the biggest lottery jackpot prize won ever. It was for the January 13, 2016 draw, and three winners split the $1.5864 billion prize. Imagine having to split a lottery jackpot and still having about $500 million to take home! You can read about the three winners of this amazing US Powerball draw here. What’s the biggest European lottery rollover win? This one goes to the 14x rollover Euromillions jackpot won by a Scottish couple in July 2011. They were the sole winner! To date, this is a record-holding lottery win in the UK and for Euromillions. What’s the wildest UK National Lottery rollover story? The two stories above are crazy examples of multiple lottery rollover wins, for sure. But when it comes to scandal and intrigue, nothing beats the 15x rollover UK National Lottery jackpot of January 2016. Yes—the same one from earlier, when we talked about rollovers increasing revenue for lottery operators! The £66 million jackpot was to be split between two winning ticket holders, but initially only one winner came forward: a Scottish couple, though not the same as the one that won the 14x rollover Euromillions jackpot! That would just been too crazy a story to be true. Hundreds of people told varying stories of having lost or damaged the other winning ticket, which actually caused UK National Lottery operator Camelot to state that they would take legal action against fraudulent jackpot claims! Eventually the real winner did turn up but chose to remain anonymous. To this day the £66 million UK National Lottery jackpot is the biggest it’s ever been. Lottery rollover rules were created as a contingency of sorts, in case nobody won a lottery drawing. Does it help or hurt lotto players, though? After several huge rollover jackpots won over the years, it’s fair to conclude that lottery rollovers have changed the game for the better. It’s a win-win situation for all involved. For starters, it helps drum up excitement—which, in turn, helps boost ticket sales. And the more ticket sales a game generates, the larger the prize fund gets. Add the previous jackpot to that and you’ve got one ginormous payout. So what are you waiting for? Play the lottery now and beat the odds! If no one wins, do I throw my (losing) tickets away or do i keep that for the next drawing? Do I need to buy another ticket for the next drawing? Hey, Brett! Most of the time, you’ll need a new ticket. Depending on the lottery and where you live, though, you might be eligible for a second chance draw. Best to check with your local lottery operator!